Once you have the latest version of the Musicnotes Player installed, open the Player. You should be prompted to log into your Musicnotes account then follow the prompts to sync your music. 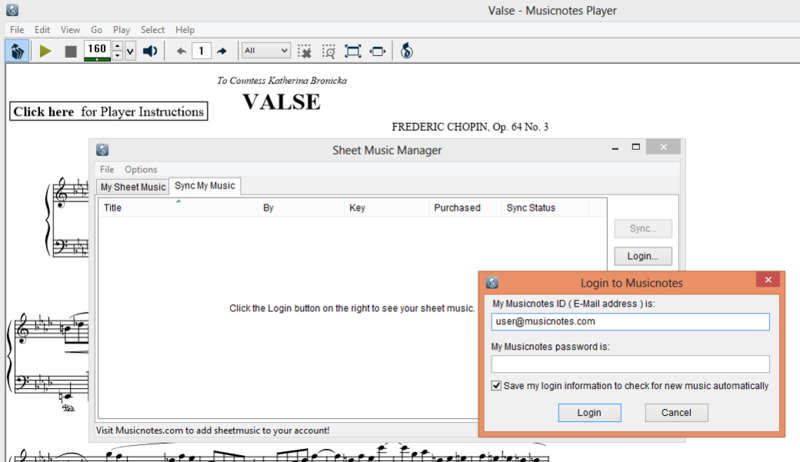 Enter your Musicnotes account email address and password and click "Login"
Under the "Options" menu select "Include All Transpositions with Sync." You can also access your sheet music on one of our free mobile device apps.